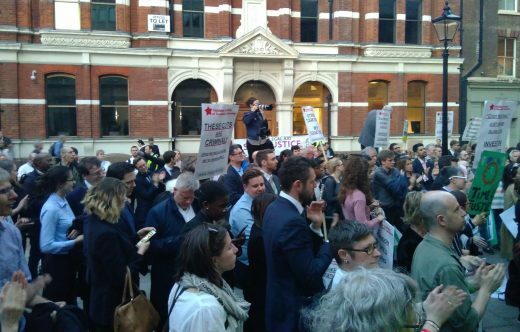 Wilson Solicitors was proud to support the Vigil for Justice outside the Ministry of Justice on Wednesday 18th April. 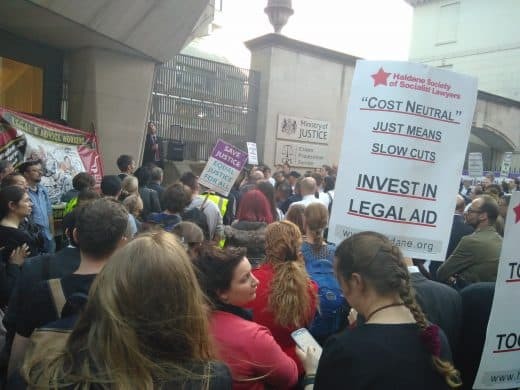 The vigil was very well attended and reflected the anger that is widely felt both within the legal community and in wider society about the destruction of legal aid. It is truly shocking the extent to which people of limited means are now excluded from any meaningful representation. To give but one example, the number of people receiving welfare benefit advice under the legal aid scheme in connection with disability claims in the year before LASPO was introduced in 2013 was 29,600. Last year it was 300. These people are some of the most vulnerable and disadvantaged in our society. Their problems have not gone away but they are left without support, advice and access to justice. The advice sector has been decimated. It is a disgrace. “We legal aid lawyers are absolutely committed to helping enforce the rights of those who cannot otherwise afford to do so. 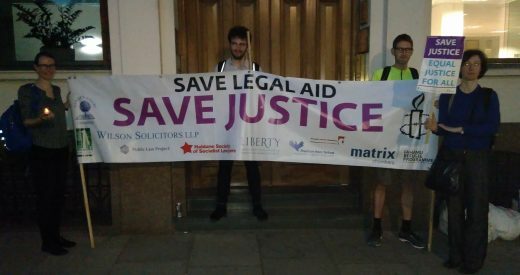 Cuts to legal aid – with whole areas of law out of scope and advice deserts across the country – of course make this increasingly difficult and impact more severely on the most vulnerable in society, as the great speakers at the vigil described so well. 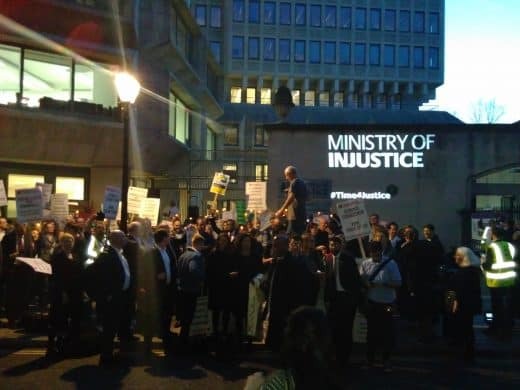 The vigil ended with a projection of “Ministry of Injustice” across the MoJ building, and the lighting of candles in mourning for a functioning, effective legal aid system to protect the most vulnerable.